Women Writing for (a) Change partners with the Cincinnati Art Museum for the third program in this ten-part series. The series is designed to explore and consider a variety of cross cultural expressions, and to foster deeper understanding and awareness of different racial, ethnic and cultural traditions. Join facilitator Katherine Meyer for this very special program! Writing prompts will guide participants in their own journey to discover, question and understand more about the traditions and the lives of the people behind the exhibit. A docent will provide an overview and answer questions. 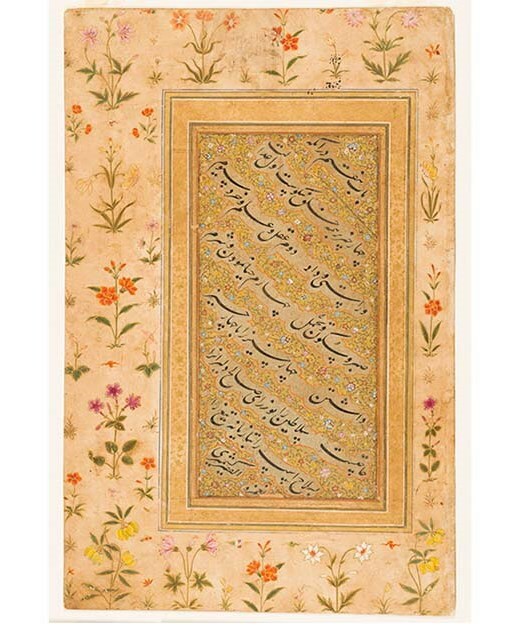 "Richly illuminated folios from poetic and historic manuscripts will be displayed alongside pages from the Qur’an, calligraphic practice sheets, and political decrees in Collecting Calligraphy: Arts of the Islamic World." New and experienced writers are welcome. Bring your favorite writing materials or use supplies provided.